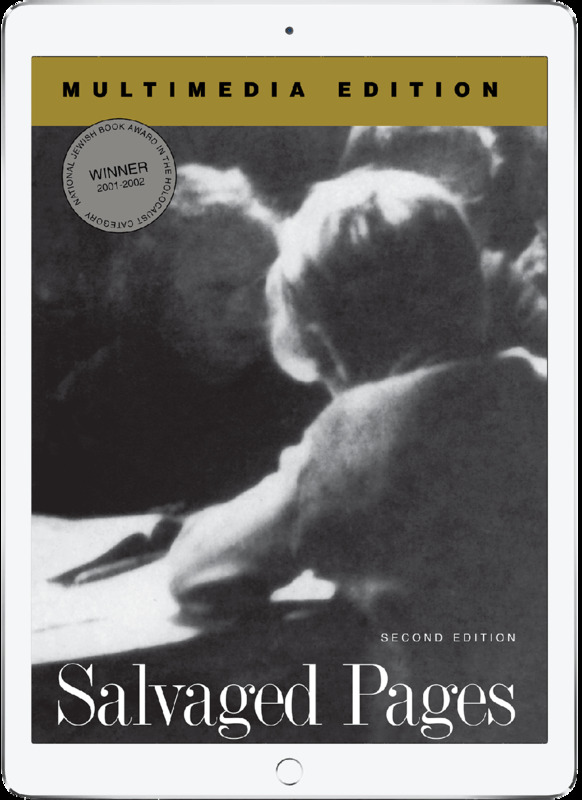 Based on the second edition of Salvaged Pages, the multimedia version incorporates a wealth of new content in a variety of media. Each diary is illustrated with personal records gathered from survivors, loved ones of the writers, and archives, including photographs of the diarists and their families, pages of the original manuscripts, artwork and letters. The text includes links to historical documents and photographs and offers glossary definitions of unfamiliar terms, biographies of key figures, and maps showing the journeys taken by each writer during the Holocaust. Wherever possible, the book includes interview clips of the surviving writers or their immediate relatives speaking about events captured in the diaries (some recorded for the first time especially for this edition.) Finally, each chapter includes video clips of the author reading key passages and discussing them in depth.